Calm between the chaos. That was the state of Benares and inside of me. I was here to let go. Sometimes rituals are just a way of truly believing that something is gone. Sitting on the ghats in the evening, watching crowds, all in the attempt to let go. A sense of both a beginning and an ending. A moaning. A joy. A tear. A smile. 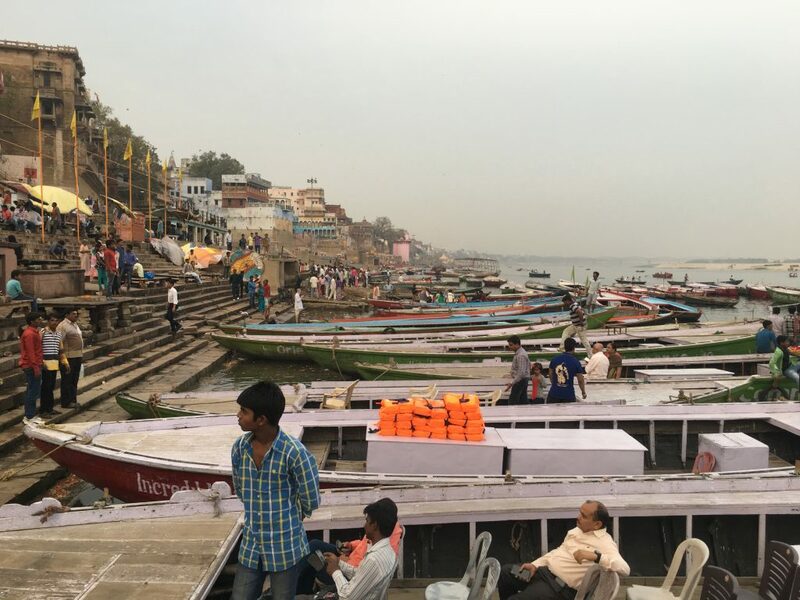 When I think of Benares, I think of the smell of still water, marigolds, kumkum, and oil from the kachoris, and the comfort of walking in crowded streets. Invisible. Sayali Goyal is a textile artist and travel writer/photographer who believes that travel is a soul searching journey that allows her to experience all things she feels passionate about: architecture, culture, food, philosophy and art. She is fascinated with the idea of living in different places and meeting other travellers. A nature lover and vintage collector, Sayali hopes to keep growing her life experiences. Find more of her writing and photographs on her website Cocoa and Jasmine and Instagram.